Erie County Medical Center (ECMC) Corporation officials today announced that ECMC has been awarded a $40,084 grant from the NYS Department of Health for a “Health Workforce Retraining Program” to train ECMC’s workers across the hospital’s Behavioral Health department in Trauma-Informed Care (TIC). Hospitalist physician group honors ECMC for partnership, trust, collaboration and shared vision of excellence in patient care BUFFALO, NEW YORK - Erie County Medical Center (ECMC) Corporation officials announced today that ECMC was recently recognized by Apogee Physicians as "Hospital of the Year" during a national meeting in Phoenix, AZ, on November 18, 2016. Erie County Medical Center Corporation (ECMCC) today announced it has earned The Joint Commission’s Gold Seal of Approval® for its full Hospital Accreditation for a three-year period by demonstrating continuous compliance with its performance standards. 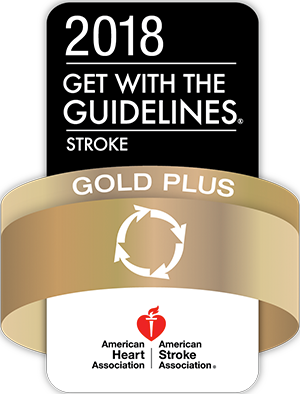 The Gold Seal of Approval® is a symbol of quality that reflects an organization’s commitment to providing safe and effective patient care. Erie County Medical Center participates in a nursing recognition program called The DAISY Award for Extraordinary Nurses.